Hello! Welcome to my new design blog, The Conquering Zero. My name is Rebecca and I’m a second year graphic design student. First, a bit about me: I’m a Christian who likes doodling, chai tea, painting, horses, cozy sweaters, yoga, reading, photography, and taking walks with my boyfriend and my thirteen year old Shih Tzu. I’m an introvert who finds this whole business of becoming a working graphic designer (and a responsible adult!) a bit daunting. I’ve decided that the best way to combat those fears and questions is to research and address them logically. My plan for this blog is to mix articles on heavier topics such as time management and the psychology of creativity and success with useful product reviews and instructional pieces relating to design. On that note, first up is a review of one of Adobe’s lesser-known applications, Adobe Color CC. Full disclosure—I am not a natural when it comes to choosing colours. I tend to stick to a tried and tested palette in my work and even in my clothing choices. 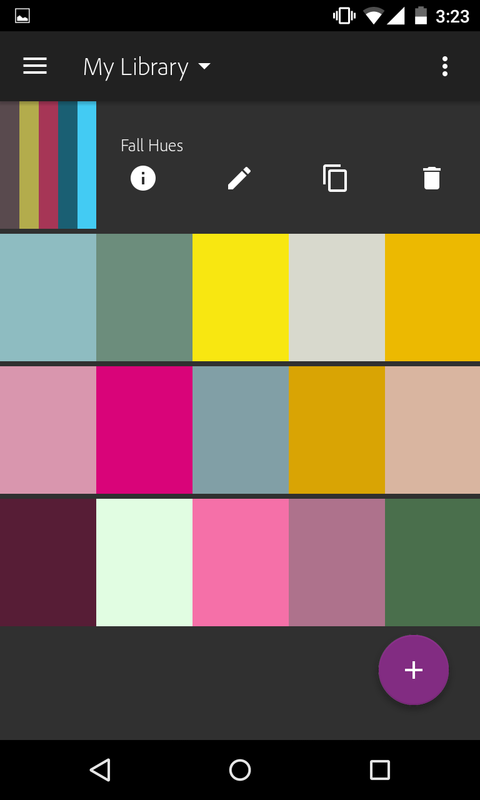 However, I decided it was time for me to come out from behind the couch and embrace the full range of hues and shades, so I downloaded Adobe Color CC. 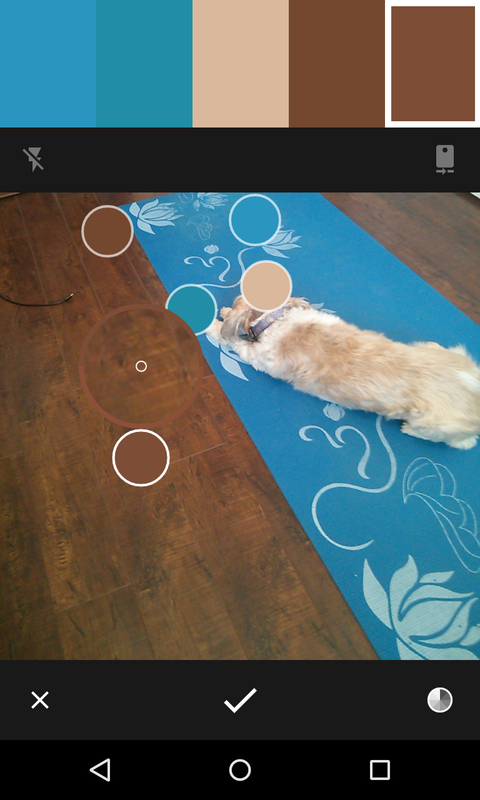 Formerly known as Kuler, Adobe Color CC is an application intended for use on both desktop and mobile devices. 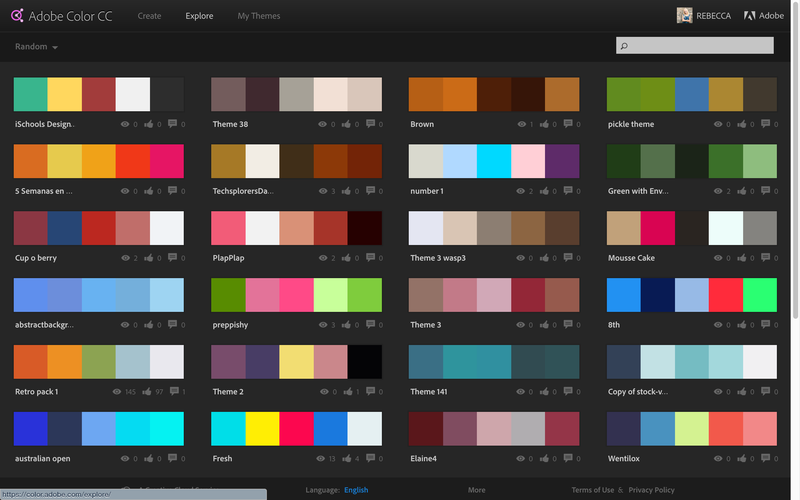 It allows the user to create colour palettes and, with the introduction of Creative Cloud libraries, to automatically sync these palettes to other Creative Cloud apps such as Photoshop and Illustrator. This application could be useful to design professionals and students as well as hobbyists, fine artists, illustrators, or anyone else with an interest in colour. 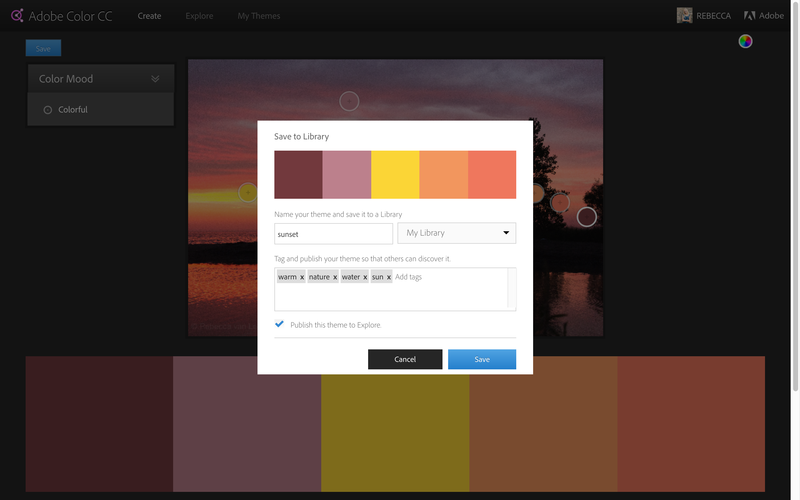 An Adobe ID is required to use Adobe Color CC, although it is possible to use the web app to create a palette and then simply copy the colour values manually without paying a cent. There are benefits to using both the mobile version and its desktop counterpart. 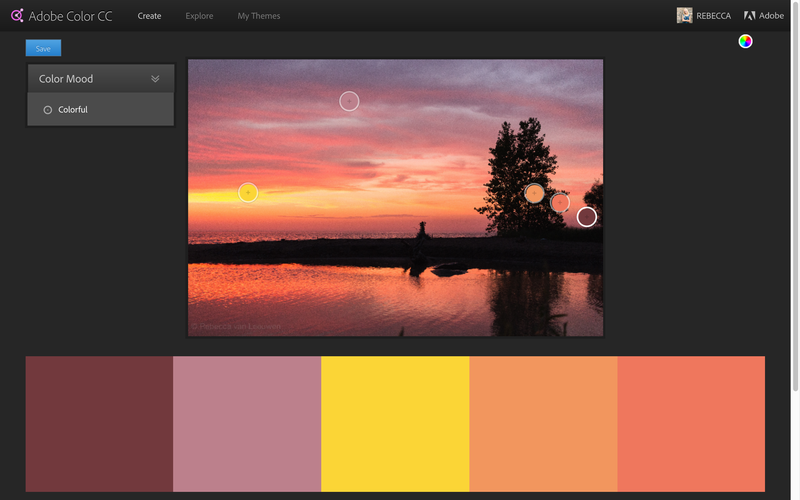 Both have the option of pulling colours from an image to create a custom palette. On the desktop app, the image in question can be chosen from a Creative Cloud library or uploaded. 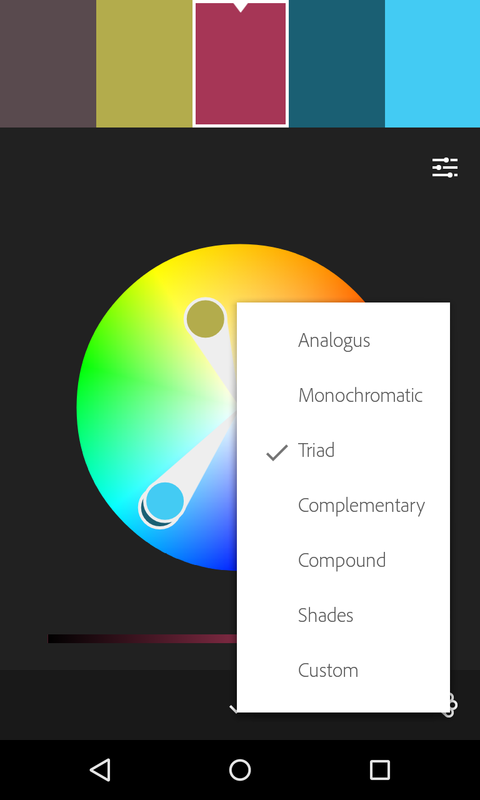 The mobile app also has this functionality but with the additional exciting feature of being able to choose a palette using the camera app, without snapping a photo at all. Several little bubbles jump around the screen as the camera is moved, with a prompt to “tap to freeze” the motion and pick the desired combination. This makes it fun and effortless to come up with new colour combinations. 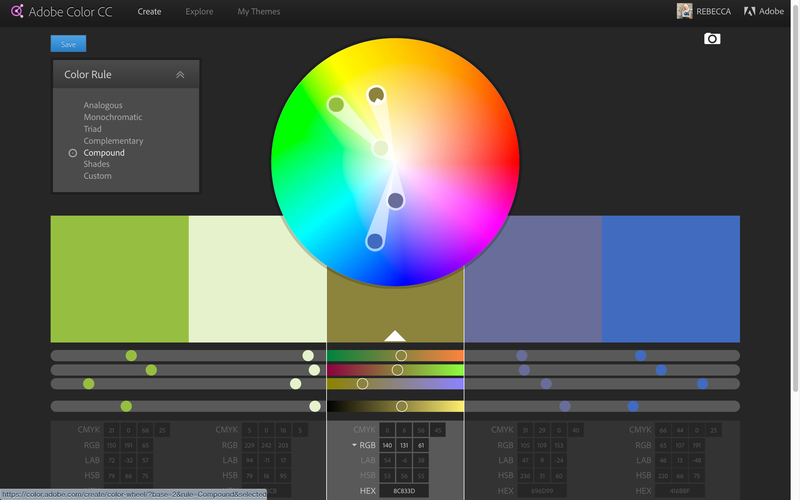 Although the desktop app cannot use a camera to make palettes in real time, it excels at the nuts and bolts of colour theory. A myriad of sliders and values boxes make it easy to fine tune colours, choose a base hue, and copy the values for future reference. After testing out Adobe Colour CC, I was extremely impressed by its potential. Before the introduction of Creative Cloud Libraries, it was an interesting program at best. However, the ability to sync to other applications has made it a powerful system for creating and sharing colour palettes between devices. Smartphones and tablets are becoming more and more popular and the ability to create a colour combination wherever and whenever I am inspired is a stunning prospect. I can see myself using Adobe Colour CC in almost all of my projects from now on. *All screenshots are property of Adobe Systems and are used for illustration purposes; I do not claim them as my own.